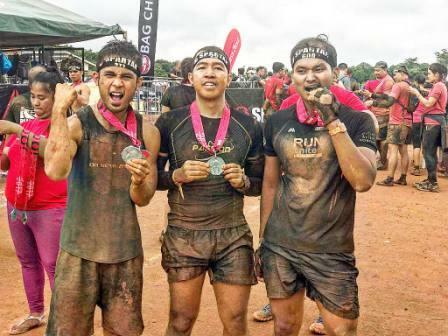 Home / Chinese / Chinese New Year / Chinese New Year Lucky Run / Chinoy / Chinoy TV / CNY / CNY Lucky Run / CNY Lucky Run 2019 / FedRun / FedRun 2019 / Running Event / Are You Ready for the FedRun 2019? Almost every Chinese New Year, yours truly Runner Rocky and my running team Team Runner Rocky take part and participated in the Chinese New Year Run dubbed as the CNY Lucky Run. 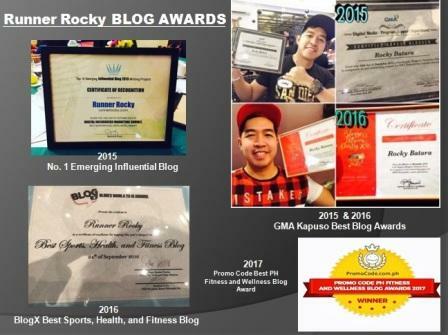 This year, we will once more be part of it! Have you heard of the FedRun? 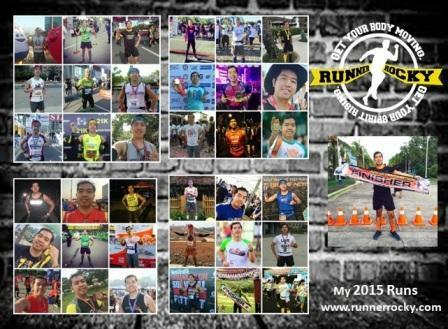 Well, let's have a glance of this another CNY race. The Federation of Filipino-Chinese Alumni Association Inc. (FFCAAI) is one of the biggest Chinese-Filipino Associations in the country composed of Twenty-Four (24) different Alumni Organizations from top Chinese-Filipino schools with the common aim of fostering closer relations among schools and alumni members, as well as to assist in the upliftment of quality education in the country. Some of our member schools are as follows Crusader’s-Lorenzo Ruiz, Dr. Kwangseng Memorial School, Grace Christian College, Northern Rizal York Lin School, Paco Citizen Academy, Philippine Cultural College, Philippine Jin Nan Institute, Philippine Scholastic Academy, Samantabhadra Institute, St. Stephen’s High School, Westminister High School, Phil. Chen Kuang High School, Philippine Academy of Sakya, Uno High School, Chiang Kai Shek College, Hope Christian High School, St. Jude Catholic School, Immaculate Conception Academy, Xavier School, Philippine Institute of Quezon City, St. Peter the Apostle School, Jubilee Christian Academy, Divine Word Academy Dagupan and Hua Siong College of Iloilo. 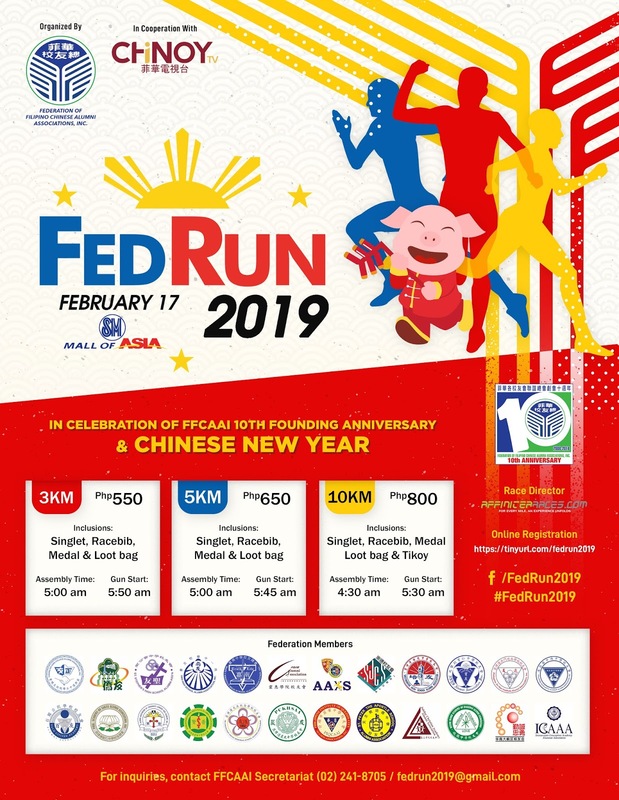 And therefore, as part of their 10th anniversary, the FFCAAI in partnership with the premiere Chinese-Filipino Multimedia Platform Chinoy TV will organize the 4th Edition of the “FedRun”– by far the biggest fun run in the Chinese-Filipino Community - on February 17, 2019 at SM Mall of Asia By the Bay and there will be 3, 5 and 10 km run distances. 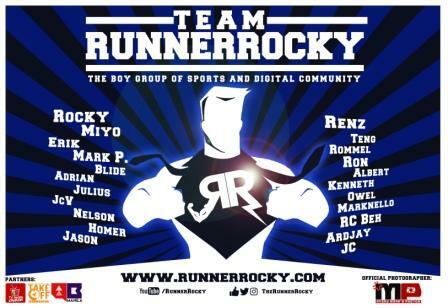 Being part of the Filipino-Chinese community since I'm a 25% Chinoy, me and my running team will definitely support this!